Steven is a seasoned litigator with more than 30 years of experience litigating commercial matters in federal and state courts. He has litigated a wide array of matters, including high value collection, breach of contract, fraud, and common carrier cases. Representing clients in industries as diverse as logistics, insurance, finance, construction, and consumer products, Steven has conducted jury and non-jury trials, argued many appeals, and engaged in all aspects of managing and handling complex commercial litigation matters. Recently, Steven was co-lead counsel in a three-week, state court jury trial where he and his team won a multi-million dollar verdict for clients in an investment fraud case. In another recent case, Steven secured a preliminary injunction in federal court enjoining a former employee of his client from violating a covenant not to compete. Marshalling compelling evidence demonstrating a violation of the injunction, Steven then argued for and obtained a contempt order against the former employee. With the injunction and contempt order in place, Steven was able to negotiate an extremely favorable settlement for his client. 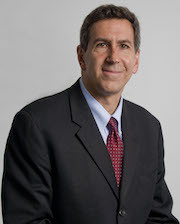 Steven also has developed a successful practice representing major law firms as attorneys’ fee collection counsel. Steven’s clients, in addition to active firms, have included trustees for the bankruptcy estates of Thelen LLP, Heller Ehrman LLP and Dewey & LeBoeuf LLP.